Making the decision to implement a modern ERP system can do a lot to move a company forward in its growth strategy. Today’s competitive business climate requires more focus on enterprise software implementation that tracks metrics such as disruptions in operations and impact on productivity. There are lower upfront costs with cloud-based ERP solutions, as computing resources are leased for a specific time period rather than purchased outright and maintained on premises. Having access to business-critical applications at any time from any location provides more visibility to staff, which can eliminate risks and improve the company’s customer relationship management strategy. The ERP market is expected to reach a value of over $47 billion by 2023 with a CAGR of 6.07% over the forecast period of 2018-2023, according to 360 Research Reports. Companies considering migrating to the cloud from a legacy system will have the likelihood of becoming more competitive in the market. It’s important that companies find the right solution to meet their business needs. The evaluation and selection process can be daunting and warrants a balanced and comprehensive approach — but it doesn’t have to be complicated to be effective. Key factors to consider are product fit, implementation, support approach, and cost. Cloud ERP systems are flexible and allow companies to adapt the software to future business growth — to what degree depends on the technology platform on which the business management software is built. Acumatica is a true cloud ERP that meets the business management needs of any organization, across all industries. It’s a modern application built for the cloud and mobile and offers the option of SaaS, hosted, or on-premises implementation. Customers choose where they want to start and have the flexibility to move to another deployment option as the company evolves. Know the big issues: Keep functionality, history and maturity of the package, reliability and strength of the developer, credentials and reputation of the implementation partner on the team, and the long-term support system — including user groups and third-party resources — in mind. Find differentiators: Identify unique procedures, processes or requirements that support the business today and in the foreseeable future. Many of these will be common across the industry, but it pays off to identify things that are unusual in the way the company does business and interfaces with its customers. Research: Utilize the Internet, selection tools, consultants, etc. to identify what systems have the right functionality for the businesses’ needs. Make sure to cover all or most industry requirements; don’t waste time with systems that don’t have the right capabilities. Zero in: Once the basics are covered, focus in on the unique requirements mentioned in step 2. Look for a solution that you can grow and adapt to these needs without additional programming. Make it intuitive: Many systems are marketed as “easy to use” and “user friendly,” but make sure this is actual fact. Have users test the system and assure they’re included in the implementation process -- this will decipher if the option fits with employees’ daily routines and activities. Get the full price: When final proposals come in from candidates (narrow it to 2 or 3), make sure they’re complete. Be sure it’s an apples to apples comparison with the same menu of goods and services. Ask for updates as needed! Check references: Read testimonials and ask for contact information for in-industry companies, preferably of the same size, that are using the system. Talk to them — or visit if possible — and see how the system works in a real situation. Ask about support, user community, and how well the supplier maintains the system. Control the demo: Vendors often demonstrate what their system does best. Do the homework and develop a demo scenario that shows what your organization needs — especially how the platform meets unique requirements (identified in point 2). Ask to address these needs in a small portion of the allotted demo time. Make sure future users get to see and even test drive the system so they can check its usability. Don’t cut corners: Selecting a wrong system because it costs less or skimping on implementation help or user training will get a company nowhere. Make sure the most effective system is the one the company chooses — focus on benefits and be willing to do what it takes to ensure a worthwhile investment. Put top performers on the project: Utilize the company’s A-Team. Pick a strong leader to head the selection and implementation process. Involve real “doers” and don’t overwhelm those that have little time to spare. Likewise, make sure the vendor has its top players on the project, as well. Selecting an ERP system for your business can be challenging. Each supplier will proclaim the superiority of its products, making each platform seem like the perfect choice for you. Don’t be fooled! There’s a smarter way to evaluate ERP systems to help you make the choice that best suits the needs of your business. Learn more in 10 Tips for Smarter ERP Systems Selection. 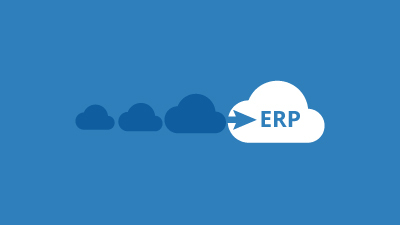 Cloud 9 ERP Solutions has a proven track record of providing solutions to drive business to peak efficiency. Contact us to learn more or to request a demo.